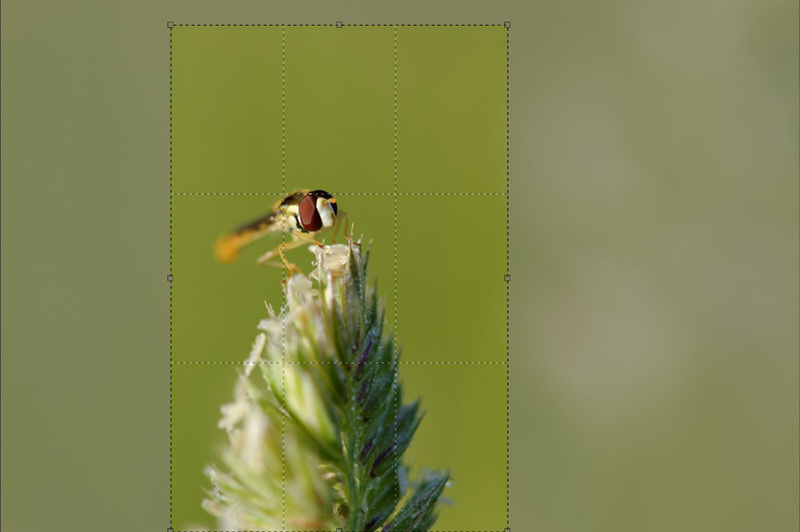 In this tutorial, we will explain how you can crop your images to achieve a better composition and how to take into account certain technical constraints that can make it necessary for you to crop your photo during processing. DxO Optics Pro 9, Standard or Elite edition (depending on your camera). Some photos, preferably in RAW format. Framing and composition are obviously tied together, but are still two distinctly different. Framing defines the periphery or perimeter of the image, and composition is the organization of the different subjects within your photo; thus each element is at the service of the other. 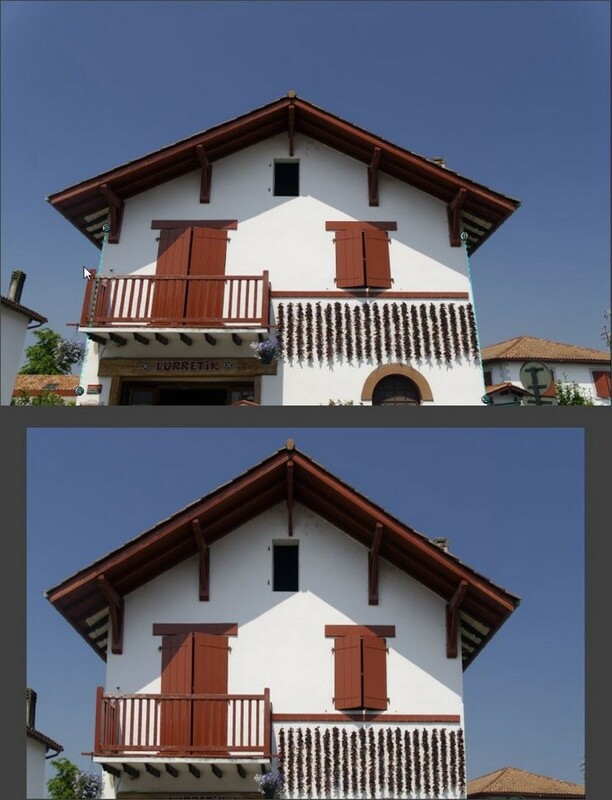 The first principle of composition is what is called the “rule of thirds”: imagine two horizontal lines and two vertical lines which divide your image into three equal parts both horizontally and vertically (for a total of nine rectangles): these are the lines of visual power, and the intersections represent the four strongest points in the image. Whether physical or virtual, the subjects in your image should be positioned on these lines or points to make them stand out and to bring good balance to your photo. The sense or direction in which people visually scan photos is important to take into account. Westerners “read” a photo from the lower left corner to the upper right corner, so for them, it is more natural to have their gaze attracted more to the right than to the left. In addition to this general direction, one’s gaze is also guided by the different lines in an image, whether physical (a path, a stream, a wall) or virtual (a look, the orientation of a subject such as a flower). This said, it is better that one’s gaze is not stopped in mid-tracking by certain elements, such as by a wall or building. So it is important that your composition take into consideration these factors so as to guide the reading of the photo in the chosen direction. Thus framing encompasses the composition and defines its limits. Even if the “standard” format is that of a 24x36 sensor (in other words, 2x3), it is nonetheless possible to choose alternative formats — for example, square format (1x1) or panoramic formats (2x1 or 3x1). We use zoom lenses, we can switch lenses, so why not just frame the shot right when we take the photo? There are several reasons why this isn’t always possible. First of all, sometimes we’re simply not shooting with the right lens. Second, sometimes the camera viewscreens are smaller than the sensor, and sometimes the sensor preserves information that we’d rather not save. Further, sometimes we change our minds about what we think is pertinent or interesting in our shot, so we modify the framing so as to achieve a better result or different rendering. The last case can be planned ahead of time: for example, when saving a panorama, if you know ahead of time that you’re going to want to end up with a photo in square format, you will b able to frame your shot in a way that will let you achieve the expected result. Finally, certain correction tools require cropping: not just the corrections of any lens flaws, but also the correction of perspective problems or volume deformation. These kinds of “destructive” corrections necessitate shooting a photo with a sufficiently large frame to accommodate any adjustments during processing. 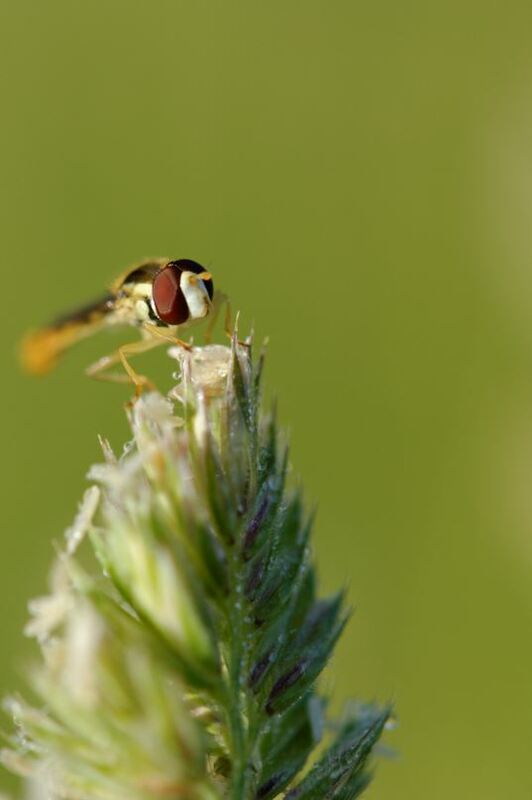 Let’s see how you can use DxO Optics Pro 9 to optimize your crop. For quicker access, the tool is also available in the toolbar above your image. The tool parameters are displayed on the bottom of the page underneath the photo. Next, choose your proportions by activating the Aspect Ratio drop-down menu. 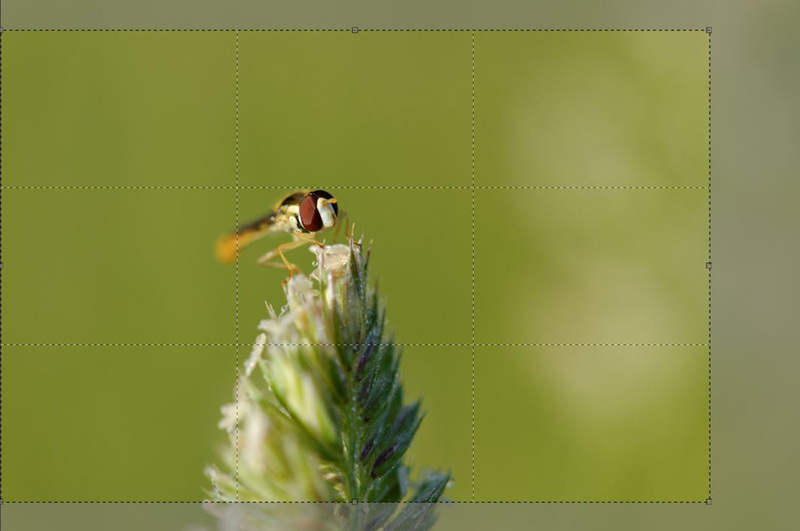 To crop while respecting your photo’s format, choose the option Original in the Aspect Ratio drop-down. You can also opt for free-hand cropping by choosing Unconstrained, or you can choose among different pre-defined ratios. In the latter case, automatic cropping is offered so as to keep the most important part of your image within the selected proportions. The easiest solution for cropping an image is to take the original image and reduce its size. To do so, move the cursor onto one of the “handles” located in each of the corners and in the center of each line at the edge of the image; the handle you select will look like a double arrow reflecting the direction of movement during the operation. The illustration above was made using the Original option in the Aspect Ratio drop-down. As you can see, reducing the width also simultaneously reduces the height, with a shared impact between the top and bottom of the image. The same reciprocity occurs if you reduce the height: the width is proportionally affected. Click on and then pull it towards the image to define the new framing. You can correctly position the frame by clicking on it and holding down the mouse button as you make your adjustments. You can also change the dimensions of the frame; to do so, place the mouse pointer on one of the handles (in the middle of each edge and in any corner) of the new frame and enlarge or reduce the size of the frame. You can also define a new frame by clicking outside the frame, as in step 3 above. Finally, you can also modify the proportions on the fly; the frame will adjust automatically. Click on the Close button on the lower right of the image to validate your changes. The Reset button takes you back to the original framing. 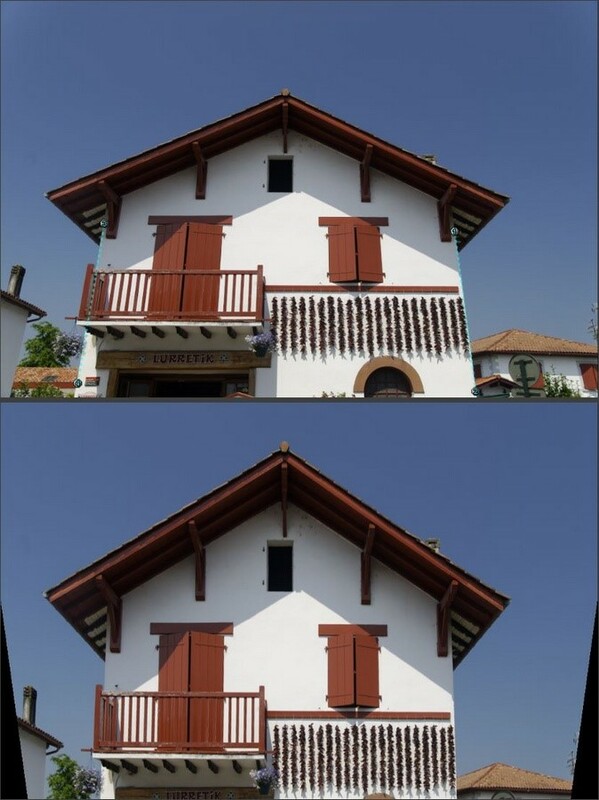 When you use perspective correction tools, you will unavoidably end up having to crop your photos. 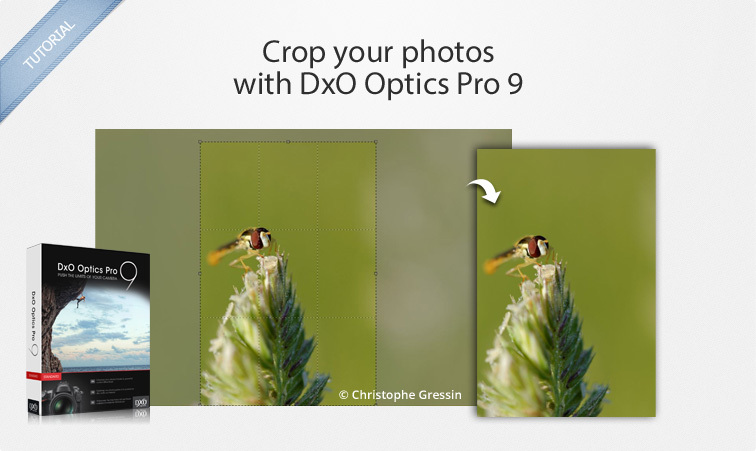 You can let DxO Optics Pro manage the cropping entirely, or you can manually adjust the automatic crop. in the toolbar; on the top image, position the two straight anchor lines on each of the edges of the wall. You can preview the results in the image below. You can make the rendering look a bit more natural by adjusting the High/Low slider value; set it here to +20. You can see that the correction necessitates some cropping. DxO Optics Pro offers automatic cropping for this type of correction. 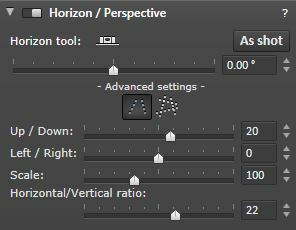 For this, go into the crop tool palette, open the Correctiondrop-down menu, and choose Auto, based on Perspective/Horizon. Of course, you can also manually crop your image by following the steps described in the preceding section. 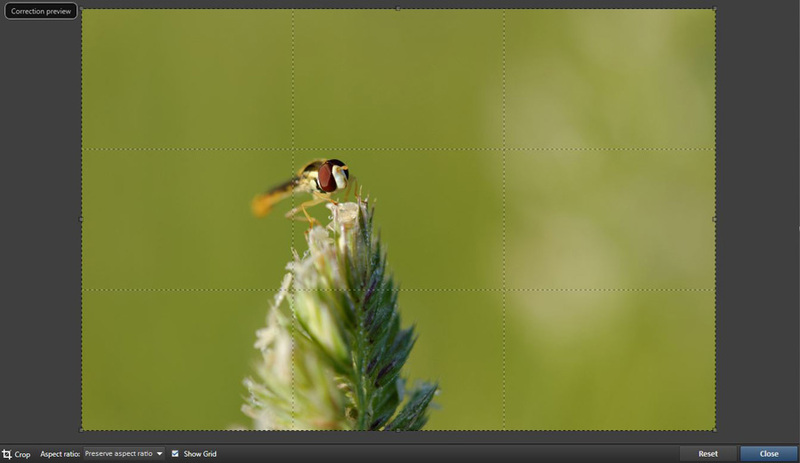 We have shown you the crop tool using predefined standard ratios, but even if it’s not generally recommended, you can also crop your photos free-hand. Especially when you apply a perspective or volume deformation correction and you haven’t left yourself enough room to have taken into account the inevitable cropping, you may want to reconstitute some of the lost parts by using such tools as Adobe® Photoshop® or Adobe® Photoshop® Elements®. For more information about this type of operation, we recommend that you follow this dedicated tutorial, which will provide you with several methods for manually recropping your images after correcting them.